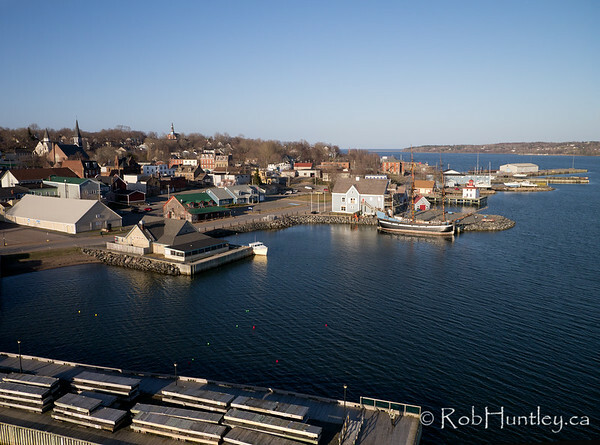 Images of Pictou, Nova Scotia, Canada. The Hector is the tall ship at Hector Heritage Quay in Pictou, Nova Scotia. The body of water is the convergence of the West River of Pictou, the Middle River of Pictou and the East River of Pictou as they join at Pictou Harbour and dump into the Northumberland Strait, between Nova Scotia and Prince Edward Island. 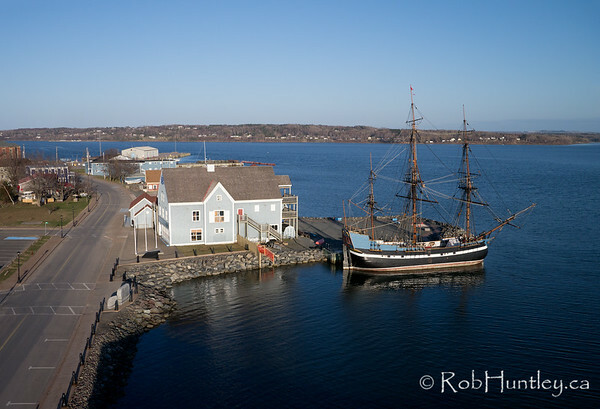 Click here for more aerial photographs from Pictou. 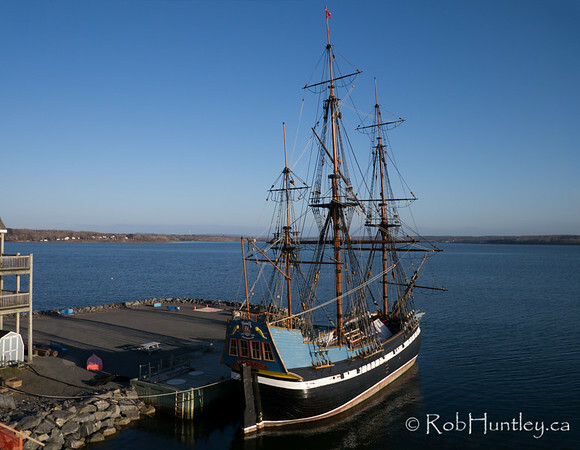 The Hector at Hector Heritage Quay, Pictou, Nova Scotia. 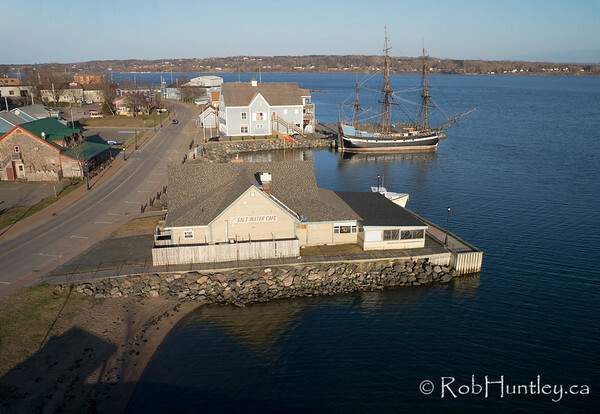 Hector Heritage Quay, Pictou, Nova Scotia. 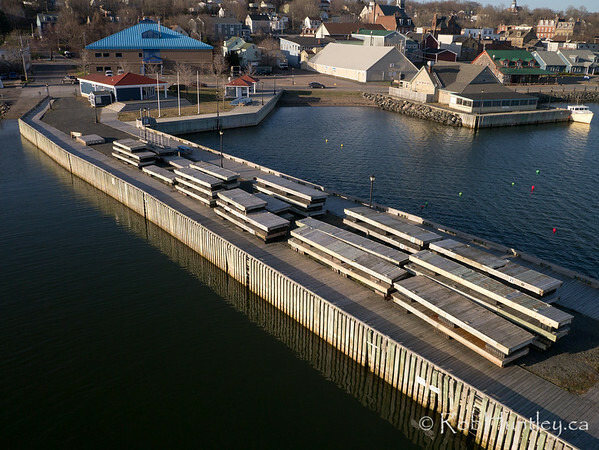 Docks stacked at Hector Heritage Quay, Pictou, Nova Scotia.